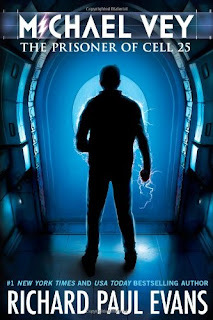 From Goodreads: My name is Michael Vey, and the story I’m about to tell you is strange. Very strange. It’s my story. To everyone at Meridian High School, Michael Vey is an ordinary fourteen-year-old. In fact, the only thing that seems to set him apart is the fact that he has Tourette’s syndrome. But Michael is anything but ordinary. Michael has special powers. Electric powers. This is a new thing, right? For any of you Richard Paul Evans fans, this book isn't exactly his normal. It would appear he is breaking out of his emotional, tear jerking, love filled stories to try his hand at YA paranormal-ish fiction. This intrigued me. I had to read this because I wondered if he could pull it off. I have read almost all (I still have one in the stack waiting for me) of Richard Paul Evan's books. He has a lot to live up to. Was this in typical RPE fashion? Not really. But, for a YA market I think that was on purpose. Do I think he pulled it off? Yes. I do. At one point the book says that 9th grade is the armpit of life. That kinda made me snicker. I would say 8th grade was that for me, but close enough. I like how RPE pulled Tourette's Syndrome into Michael's character. It was believable and not over the top but at the same time make Michael seem more human and endearing. Overall, a good read. No swearing or sexual scenes that as a mother I would be hesitant to let my kids read. I call it "clean". I'll be looking forward to the next book in the series, Rise of the Elgen. 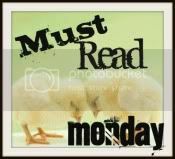 Must Read Monday is one of my favorite new things to do. I'm having such a good time. Even though every Monday I think,"Oh no, I'm going to have to use my brain this morning. Am I really up for this?!" :) I do love the challenge of making an acrostic puzzle and I especially love hopping around to see what my new friends have written. Such creative bloggers! If you want to join in the fun, head over to Fans of Fiction﻿ and read up on the guidelines and sign right up! This week's category: A book that made you laugh out loud. My first response was "oh no." There really aren't many books that make me laugh out loud. I smile a lot, but laugh out loud? Not so much. I knew that this was going to be a hard one for me. I finally came up with this though. It's been awhile since I read this book but when I saw it, I remembered how funny I thought it was. Or all wilL be lost. 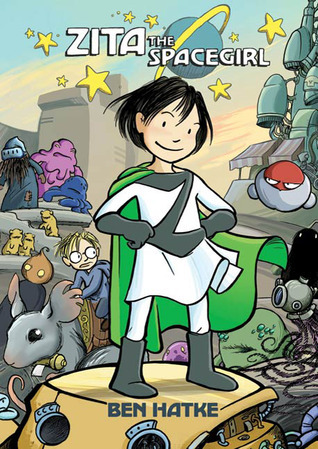 Zita the Spacegirl is a graphic novel by Ben Hatke. It is a fun for all ages kind of book. Here is the link to my review. Wow, I think that was the biggest hop ever! My followers jumped over the 1000 mark. I hope some of you will be back regularly to check out the reviews. :) My thanks to all of you who entered. Congrats to Isolabella who the powers of random selected! Hopefully everyone out there had a great, safe Thanksgiving holiday. That was one long summary, huh? 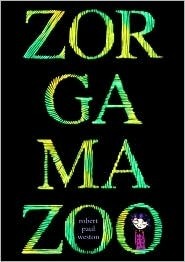 (From Goodreads) It leaves very little explaining for me to do about the book, and lots of room for opinion. tee hee. I love the cover. It's so cool. The dragon, the tigers, the colors. Love it. I think I have been waiting for this book forever. Well, it felt that way. I think I shut the last book feeling seriously angry. Deprived. The injustice of it all. That's why I needed this book. I have to say that I'm ready for resolution now though. It's been 3 books. Big, thick books. I need resolution between Kelsey and her men. Love triangles are not my favorite because somebody always gets hurt. I don't like that. I'm not sure I agree with Kelsey's decisions, but I'm not Kelsey. I'm ready for the next book and I'm waiting. 6 months will feel like forever. Again. But, praise and adoration for Colleen Houck. She is fabulous. May she always write awesome books for her devoted fans. Wow, so nice of Fans of Fiction to feature my acrostic from last week. Thank you! Everyone does such a good job every week. I love Mondays. I'm afraid my creative juices have left me this morning so I didn't really come up with anything too impressive. and maybe some cocoa and something eat." Thanks for stopping by! Happy Monday to ya'll! Congratulations to Pen to Paper (you can check out her blog here) who won the giveaway for Geek Girl! I hope you enjoy this book as much as I did. I wish I could give all of you copies. Thanks everyone for entering. Thank you, thank you to all my friends and followers. I appreciate all the support and comments as I blog about the books I'm reading. This giveaway is my way of saying thanks to you. 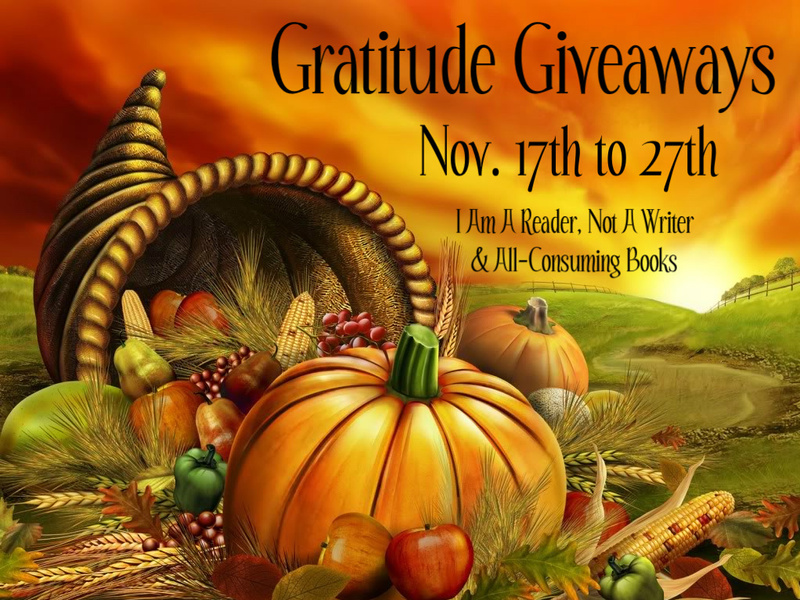 I am giving away a book of your choice, up to $12.00! Open Internationally. If you are US, I will be going with Amazon. If you are International, The Book Depository (as long as the Book Depository ships to you). (From the back cover) After the tragic death of her mother, everything seems to spin out of control for Megan. Taking care of her grandmother-who refuses to receive help from anyone-and her two younger sisters, Megan must depend on her best friend Adam to get through these hard times. But when she discovers an old family secret, Megan must choose between trusting her family and following what her heart tells her to be true. 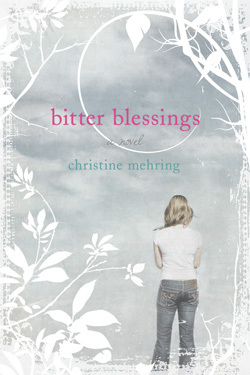 First off, let me say that I am grateful to be a part of the blog tour for Bitter Blessings. 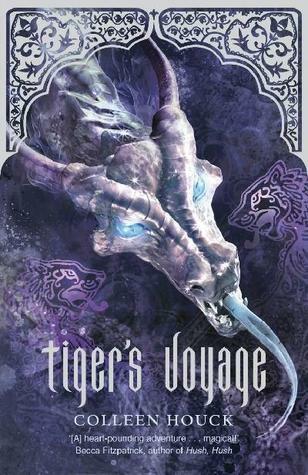 Second, before the actual review, I have to say I love the cover for this book. So pretty! Okay, so the title of this LDS fiction book, Bitter Blessings, both intrigued me and made me a bit hesitant. Bitter Blessings doesn't exactly sound happy. It's sort of a contradiction in and of itself. But, the more I thought about it and the farther I got into the book, the more I realized that a lot of the blessings we do receive are the result of something hard and maybe even bitter beforehand. Megan and her family deal with so many real life issues. Life really seems to dump the hard on Megan's shoulders. She had such a weight to carry. I loved how hard she tried to keep it all together. Her love for her family is obvious. Adam, to me, was all that I wish to be. He was a good friend, loyal and steady. He reminded me of the song "Lean On Me", you know the one? "Lean on me. When you're not strong. I'll be your friend. I'll help you carry on. Sometimes in our lives. We all have doubts. We all have sorrows. But, if we are wise, we know that there's always tomorrow." Adam didn't preach his beliefs, he didn't force religion or anything else. He was just there. Living what he believed and loving his friend. I think I love Adam. I saw a video clip as I was reading this book urging us to believe the best in people before believing the worst. Giving people the benefit of the doubt. One of the initial problems in this story came because someone was willing to believe things that were bad before really knowing for themselves. They believed what someone else told them and acted on that before finding out for themselves. It changed the lives of so many people, and not for the better. I wonder how life and relationships would be changed if we just assumed the best before we assumed the worst in people. This was a quick read, I polished it off in a day, and I really enjoyed my journey with Megan and Adam. It was real and touching. You can purchase Bitter Blessings on Amazon. This week's category: A book so powerful that it changed you in some way. This book, Between Shades of Gray by Ruta Sepetys, really did change my heart. It moved me and it touched me. It was one of my very favorite books this year. Here is a link to my review. Everyone should read this book. I loved it. LOVED it. Thanks to Fans of Fiction for hosting this meme. It's such a creative, fun way to start out the week. Thanks for stopping by today. Happy Monday! Congrats to Ashley, winner of the Giveaway Hop. She has won her choice of one of my listed books! And Ashlee has won a copy of The Kissing Tree! Yipee! 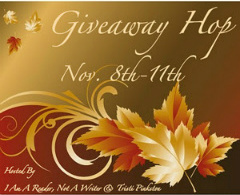 Thanks to everyone who participated in the hop and in the giveaway for Kissing Tree. I heart my followers! From Goodreads: Jen's life of partying and sneaking out has grown stale. So on a whim, Jen makes a bet to turn Trevor, a goody-two-shoes geek, into a "bad boy." As she hangs out with Trevor, however, she finds it's actually kinda fun being a geek. But when Trevor finds out about the bet, Jen must fight for the things she's discovered matter most: friendship, family, and, above all, love. I think this was one of my more favorite contemporary YA reads in awhile. 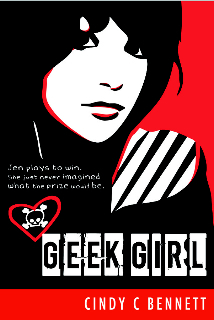 I'm so glad I was able to be a part of the blog tour for Geek Girl. My thanks to Cedar Fort for providing the opportunity. They are also generously providing for the giveaway! THANKS! Wow, life has dealt Jen many cruel blows. My heart went out to her and the many like her who suffer from such uncontrollably difficult things. As a young child Jen endured physical and mental abuse. Her mother left her behind with a horrible excuse for a father. Her mother ended up in prison so Jen was placed in the foster care system. No wonder this girl guards her heart with anger and trouble. Enter Trevor who seems to envelope all that is good and wholesome. I love how polite and accepting he is. He is willing to assume the best in everyone which is a rare thing, I've found. It's exactly how I hope my son treats others. I found the developing relationships with Jen, her family and Trevor to be endearing. I could feel the struggle Jen had as she wanted to be loved but was so afraid of being hurt and abandoned again. The emotional transformation as well as the physical transformation Jen makes is genuine and sweet. The thing that makes this book work for me is that I can find bits and pieces of me and my life in there. Insecurities are a part of us all, I think. And while I was fortunate to grow up in a house full of safety and love, I know many who were not so fortunate. This world can be so cruel and ugly. But it can also be good and kind. Love is out there and there are so many people who try to make a difference in the lives of these kids who are hurt and scared. The social labels we put on people, especially as portrayed in high school are also very real. My kids talk about social groups from school too. 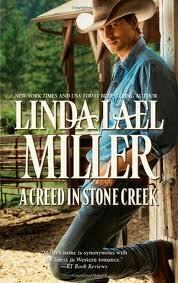 I know this book touched on so many heavy, sad topics. But, for all that, it was still hopeful and happy and fun too. It was real but not overdone. The happily ever after wasn't easy and it didn't just fall together. Jen made mistakes and I liked that there was an accountability for that. This book left me feeling like love can make a difference. Helping and understanding people takes effort, but it is worth it. I loved reading this book and I applaud Cindy Bennett for a job well done. You can find out more about Cindy Bennett here. If you are interested in reading what others think about Geek Girl, you can find a list of participating blogs here. This giveaway is open to everyone! Yipee! If you are US, you can have either a print copy or an ebook. International can win an ebook. To enter, leave a comment letting me know why you are interested in this book, as well as your email address so I can contact you if you win. Contest ends 11/18/2011. Yipee! Another hop! I love books and I love book blog hops. I especially love November and Thanksgiving because it gives me a whole month to focus especially on the many things I have to be grateful for. For this hop, it is my eyes that can see, my mind that can think, and using those together so I can read. This time around, my giveaway is only US. But later this month there is another blog hop that will be for INT too. So, I am offering one lucky winner their choice of one of the following books. 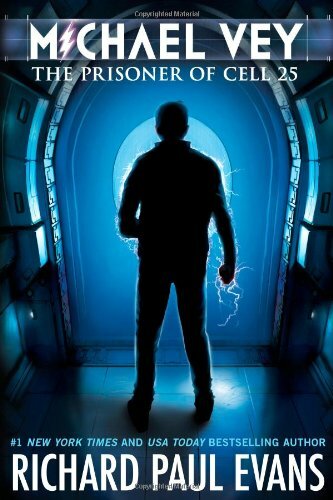 Watched is a YA suspense novel. Soft cover. You can check out my review here. 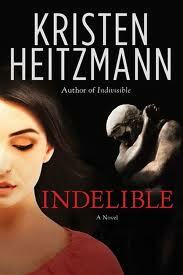 Indelible is a Christian Suspense novel. Soft cover. You can read my review here. If you would like to enter this giveaway, all you need to do is follow my blog and leave me a comment telling me which book you would like if you win. Please also include your email address so I can contact you if you win. Thanks so much for stopping by! Happy Hopping! Here is my newest meme adventure, which I am really enjoying. It gives me a few minutes to creatively focus my mind. I missed it last week and I might miss it again, but I really hope I can keep up with this because it is really fun to write and it's so fun to pop around blog world and read other's writings. Fans of Fiction are the hosts of this meme and you can find out more about them here. Here's the scoop on what we are doing! Here is what I came up with for this week. seeded in vIolence and hurt. or will alL bets be off for love? 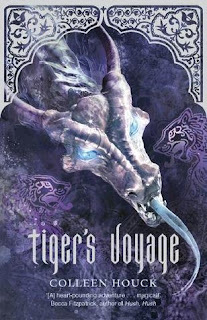 I just finished reading this book for my part of a blog tour coming up. 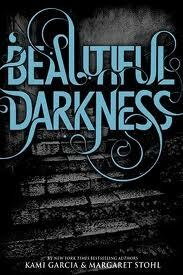 My review will be posted on Friday, but I loved this book. It hit so many real life issues of troubled teenagers, as well as social and family relationships. And it all came back to love and understanding. Come back Friday and find out the details of why I loved this book. :) Thanks for stopping by! Well, that's it. So excited about reading this book. I just started it last night! (But I wasn't going to take my picture last night!) I'm so glad it's Friday. Have a good weekend everyone! From Goodreads: With her body still recovering from last year's cancer treatments, Leigh Tressman is determined to be independent. Despite the interference from her overprotective brother, physical frustrations, and spiritual dilemmas— not to mention the ever expanding line of young men ready to fall in love with her— Leigh discovers what it actually means to stand on her own and learns that love can be found in unexpected but delightful places. This is an LDS fiction novel that I picked up on NetGalley. (Don't we just love NetGalley?!) I wasn't sure how I was going to like this book because I was afraid that it was going to get too drama-ish for me based on the whole cancer part of the story. I tend to like to avoid books that deal in depth with hard, real life sort of stuff. I live THAT life. When I read, I want to escape. 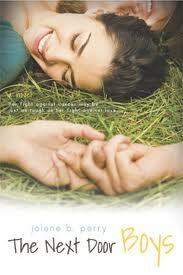 I'm happy to say that this was for me, a perfectly happy balance of real life and romantic fiction. The real life issues were there without dragging you down. Even though Leigh thought her family to be overprotective, she also realized just how much they loved her and wanted her to be happy. I thought Leigh's feelings of being smothered and overprotected were understandable and I felt like I gained some insight into how someone might feel in her situation. Cancer is such a hard thing and so many people struggle with it's effects. It's such a crummy thing. The characters all felt very real to me. Imperfect people trying to do good and be good, making mistakes along the way. Often it is those very mistakes that mold us into the better people we need to be. I think it's experience and wisdom and that leads to empathy and understanding. Hopefully. The light and fluffy romance was fun and flirty but it was the slow developing romace that ended up being very satisfying in the end. I have 3 giveaways that ended yesterday. I feel like it's Christmas! First, roro is the winner of Watched by Cindy Hogan! Gayle has won a copy of The Alias by Mandi Tucker Slack! And Melora is the winner of the Spooktacular Giveaway Hop! Congrats to all 3 winners and thanks to everyone who took the time to enter and comment. I so appreciate you all. Happy Tuesday everyone! 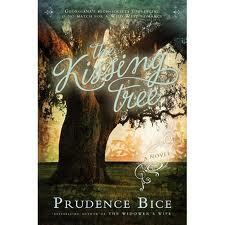 Blog Tour and Giveaway for The Kissing Tree by Prudence Bice! Honestly, there was so much to love about this book! I’m so happy to be a part of the blog tour for The Kissing Tree. My thanks to Cedar Fort for providing the opportunity and the books. One book for me, one book for you. Awesome stuff, Cedar Fort! I’m a fan of historical fiction, so this was right up my alley. The story was filled with love and friendship, misunderstanding and reconciliations. The small western town feel versus the proper society, big city feel was perfect. Georgiana’s poor young heart was broken when she was forced to move away from her childhood home, her grandparents and her friends. Her return journey home provides such satisfaction and mending but not without the bumps and bruises a fiery Irish temper can bring. I love the friendship between Georgie and Sammy. I have friends that even after not seeing each other for years, we can fall right back into that easy friendship that once was and pick up right where we left off. Those kinds of friends are keepers, for sure. Ridge is such a great character. I love his playfulness and easy going nature. And how swoon worthy to have a guy fall for you at such a young age and never get over it. So sweet. I love all the little things that make Ridge endearing. Keeping a hair ribbon all those years, carving Georgie’s name along with his own in the tree,… Bice has done a great job of making the characters real and personable. The one drawback for me personally, was the remembering. Each character seemed to be doing a lot of “remembering” in order to tell the back story. And while I realize that needs to be part of the story, there was so much of it. It seemed like characters were remembering the same events and it got a bit long. I found myself wanting to skim through instead of read those parts. You can find out more about Cedar Fort here. You can purchase The Kissing Tree at Cedar Fort here. You can also purchase The Kissing Tree at Amazon here.